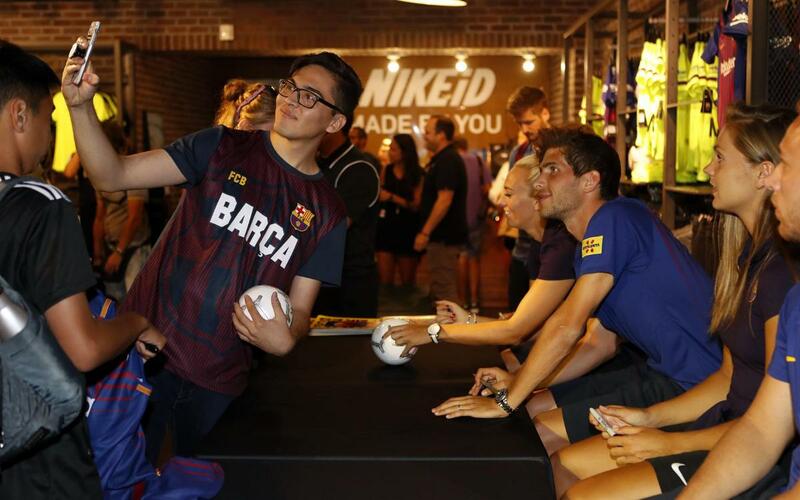 Wherever they are in the world, Barça players are highly sought after for autographs and photos. Currently on tour in the USA, the players have got a taste of their American fanbase during the opening days of their trip to the West Coast, with various events involving the first team and Barça Women sides, in which they have given Stateside supporters the chance to meet some of their heroes. Special 'Meet & Greets' have been held at both the Nike headquarters in Beaverton and the main Nike store in Portland. In both cases, the devotion of Barça fans was evident.